Gears for Africa products portfolio include all types of gears, sprockets, pullies, splines and related product for industrial and heavy duty equipment and practically all applications related to power drive systems. 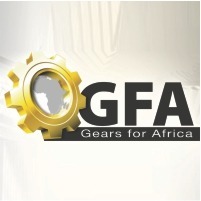 Gears for Africa is an established manufacturer of industrial and heavy duty gears, sprockets, pullies and splines. We also repair and service gearing related plant and equipment. Gears for Africa serves all heavy duty industrial plant sectors including the mining, rail, heavy earth moving, building, electrical and agricultural industries.Our clients range from large mining enterprises, multinational and local conglomerates to small and medium enterprises (SME’s). We operate from a state of the art engineering workshop of 3500 sq meter located in the East Rand of Gauteng, equipped with the latest technology in machining and tooling available on the market. We enlist the services of a professionally qualified and experienced engineering staff that has helped to establish us as the industry leader we have become. Our quality management system has been systematically developed over many years of innovation and experience and make us a leader in gear manufacturers in south africa. We are currently in the process of fomalising an ISO 9001:28 accreditation. Gears for Africa pursues an unrelenting quest for excellence, continual improvement and cutting edge modernization in our machinery, technology and staff training. Gears for Africa has been serving the gear, sprockets, pullies and splines industries since 1980. Our quality products, hands-on delivery and commitment to client satisfaction have earned us a loyal and growing client base. Gears for Africa is a BEE compliant enterprise with a Level 3 contribution rating. Tags: BEVEL GEARS & SPIRAL GEARS, SPUR GEARS, HELICAL & INTERNAL HELICAL GEARS, CROWN GEARS, INTERNAL & EXTERNAL SPLINES, RACK & PINION, FACE GEAR, HYPOID GEAR, SPLINE SHAFTS, CNC Turning, Milling, Hobbing & Shaping, Gear Inspection, Grinding & ShavingStraight Bevel Gear Cutting, Broaching.